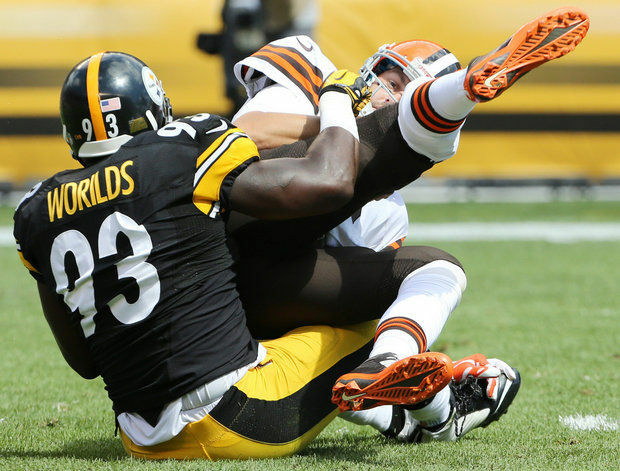 In a move that can only be described as ‘stunning,’ today Steelers free agent linebacker Jason Worilds announced he is retiring from the NFL. The move was announced on the Steelers webiste, and comes just a day after the official start of free agency, where it was expected Worilds would get interest from a number of teams, including the Steelers. “I appreciate all of the interest from the organizations that have reached out to us the past few days,” Worilds statement read. “With that being said, after much thought and consideration I have chosen to step away from football as I have opted to pursue other interests. The 27-year-old made nearly $10 mil with the Steelers in 2014, and it was thought he would be able to cash in this offseason, but instead has decided he’s done with the sport. Be the first to comment on "Steelers FA LB Worilds Announces He’s Retiring From NFL"